I couldn’t help it. 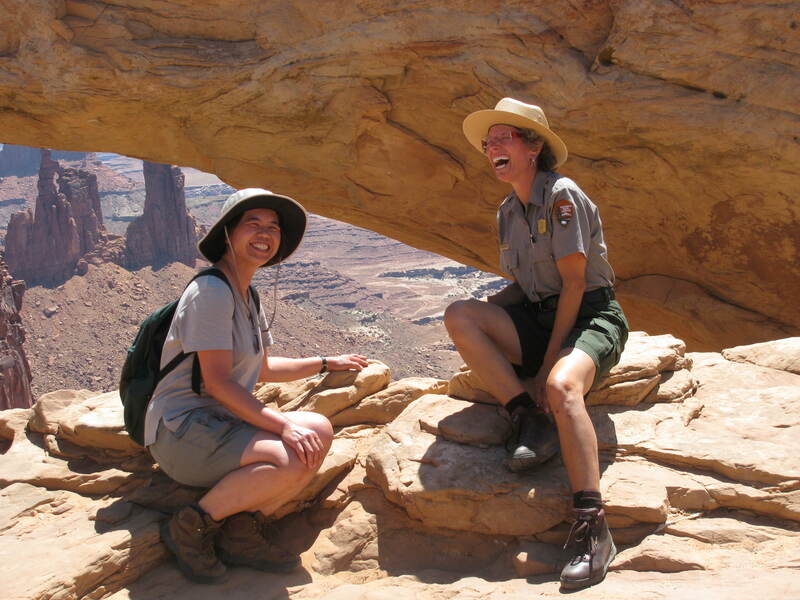 Ranger Diane, my Teacher-Ranger-Teacher counterpart at Dinosaur National Monument, encountered me at Mesa Arch while I was on a rove and posed with me for some on-the-job pics. I don’t know why it was so darn funny, but a Belgian visitor used my camera to catch these images. "See that? It's... a canyon..."
Must... compose... self. Must... maintain... professional... demeanor. 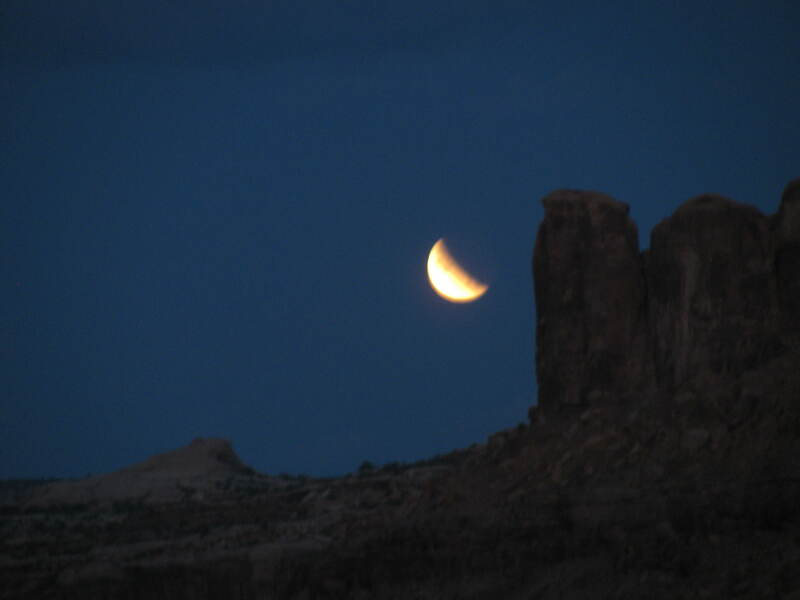 Utah Hwy 313 near Moab, about 6:30 a.m. There are truths one doesn’t find out about oneself until later in life that would have helped make sense of things earlier, had one known. A number of years ago I discovered that I am in the 1-in-6 minority of folks who have Sensory Processing Sensitivity. This means my brain processes information differently and reflects on it more deeply than most people’s brains do. The down side is that I can become easily overwhelmed and overstimulated. The up side, however, is that I derive immense satisfaction and joy from the smallest bits of beauty or experience. Elaine Aron, the researcher who has most studied High Sensitivity, states that “if you notice everything, you are naturally going to be overstimulated when things are too intense, complex, chaotic, or novel for a long time.” If you know me, you know how dismayed I am at my own distractibility in conditions like that. 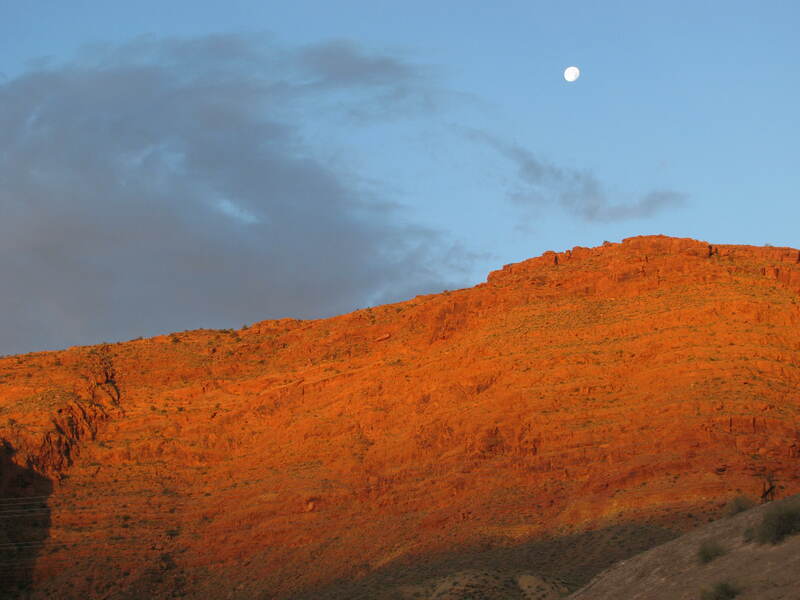 Is it any wonder that I am increasingly drawn to the wilderness, to remote places where I can seek out tranquility? Get me away from crowds, honking horns, grocery stores with too many choices, or even heavily-traveled hiking trails. Give me solitude. Give me time and place for my thoughts to coalesce, for my spirit to make connections. 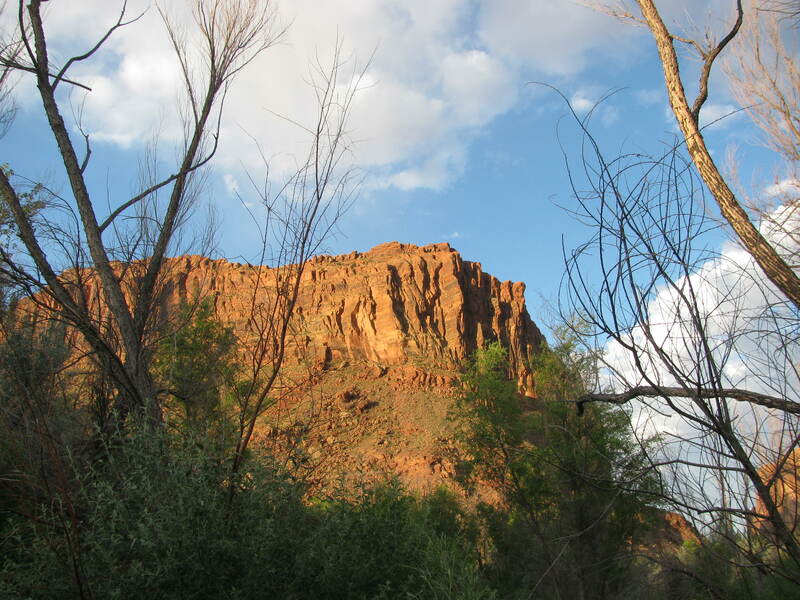 One of an interpretive ranger’s tasks is to bring the park, and its history, into clear focus for visitors. 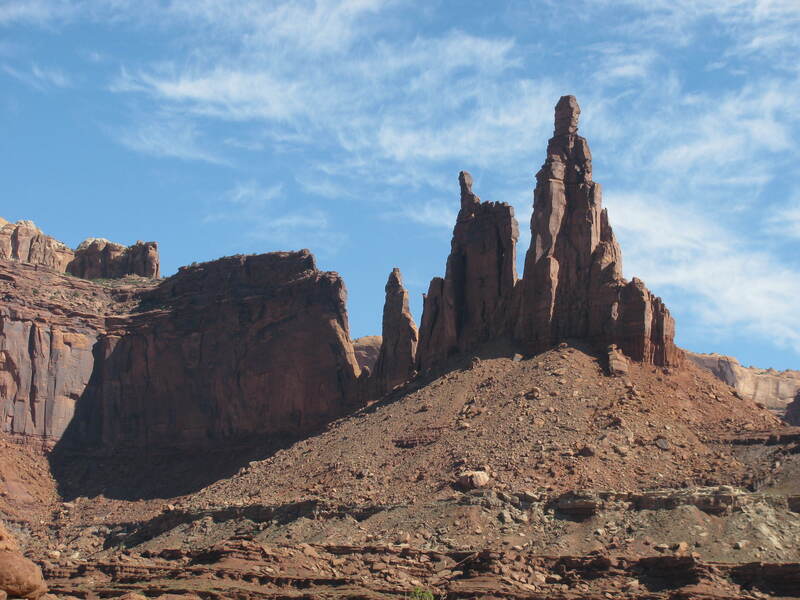 Here in Canyonlands, John Wesley Powell’s post-Civil-War expedition down the Green and Colorado Rivers is a gripping story, begging to be told. The 20-minute talk I am preparing has me VERY excited; my entire being resonates with the relevancy of this 141-year-old journey. This talk is gonna be FUN. In a nutshell, this bold, strong-willed, single-minded, one-armed 35-year-0ld recruited nine mountain men to accompany him down a previously-unexplored river system. Any with knowledge of the area felt it was a suicidal mission. He funded the trip out of his own pocket, getting only a little assistance from friends in government positions. Not one of the boatmen had any whitewater experience. Only one life jacket existed for ten men. They took provisions for ten months, just in case they had to over-winter, but due to a river accident lost 1/3 of it near the beginning of the trip. Having no maps of the area, they battled constant anxiety over whether the river would drop out from under them, like Niagara Falls, or whether a more gradual descent would take them to their final destination. Their flour turned moldy (too many times getting wet) and their bacon went rancid. No game was to be found by the hunters among them. Malnutrition and exhaustion added to the relentless anxiety. One of the nine dropped out abruptly after five weeks, stating that he had “already had enough adventure to last a lifetime.” A thousand river miles lay before them, and there was not one white settlement within 100 miles of their boats. Nobody even knew where the confluence of the two rivers lay for sure, as regional maps simply read, “UNEXPLORED.” Disaster after disaster befell the crew over their 99 days afloat. That was the summer of 1869. As I have reflected on the relevancy of this trip, and how to assist visitors in connecting to it, I began to ponder the universality of Discovery. It seems every culture is driven to explore and to push beyond the edges of what is known and what is safe. There are always individuals who have a more expansive vision that takes them beyond their own provincial neighborhood. And then… I thought of 1969. Exactly one hundred years TO THE DAY of Major Powell’s arrival at the confluence of these two great rivers that meet in our park, Apollo 11 landed on the moon. The nearly quarter-million miles that that mission had to travel was no more amazing than Powell’s thousand miles. It was all a Great Unknown, even if Apollo 8 and 10 had traveled around the moon for data collection and reconnaissance. In both expeditions, there were more questions than answers. There were incalculable risks. 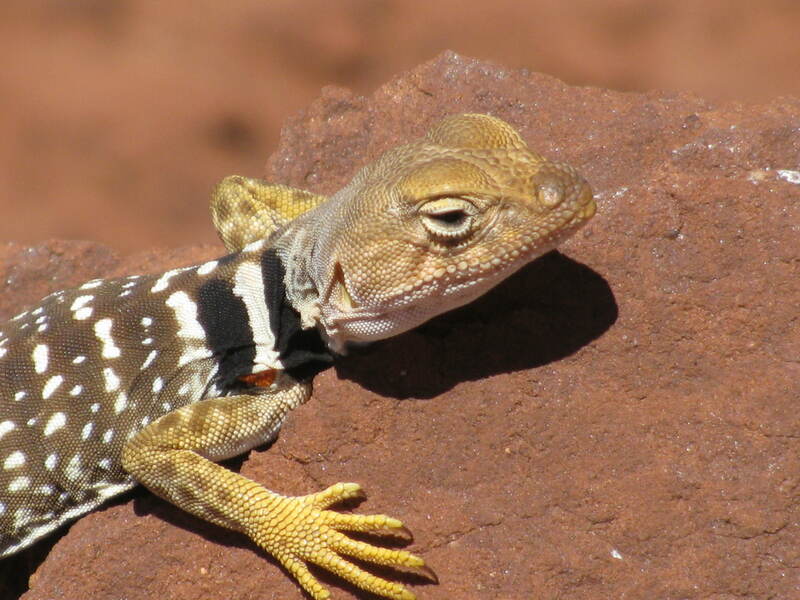 The Eagle had less than 30 seconds of fuel left by the time it touched the lunar surface; Powell’s emaciated group was barely recognizable when they passed through the Grand Canyon and finally arrived at an outpost. It will be my challenge to bring home the dangers and the successes of these parallel expeditions into the unknown, and then to charge each visitor with undertaking their own mission of discovery and exploration in our national parks. We get out to assess our next obstacle. Instructions: Add humor, crazy music, a slot canyon, remote Ancestral Puebloan ruins, lots of sunscreen, homemade muffins and oatmeal cookies, interpretive moments, acrophobia, old cowboy camps, gnats/mosquitos, chasms that threaten to swallow you, inexperienced 4WD drivers, a tent that got snatched by a gust of wind, nights of uncountable stars, and no end to astonishing views. 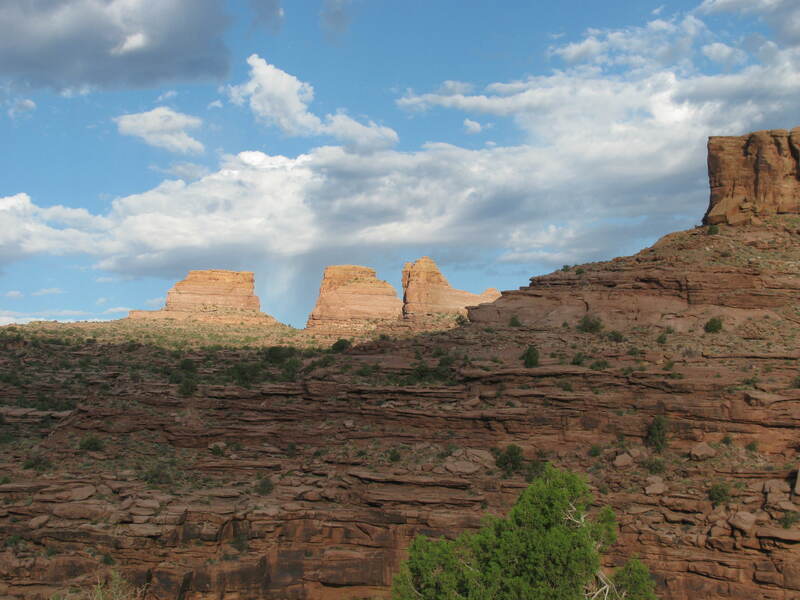 Shake well over bumpy rock-strewn one-lane “road” that lies on a huge shelf halfway between the Island-in-the-Sky mesa top and the Green and Colorado Rivers. Welcome to my world. My Facebook status today says “KB finds it hard to stop smiling. Her gratitude list keeps growing and growing.” I am incredulous at the up-close-and-personal aspect of exploring a region of my park that was heretofore just a lovely photo from the overlooks a thousand feet above it. 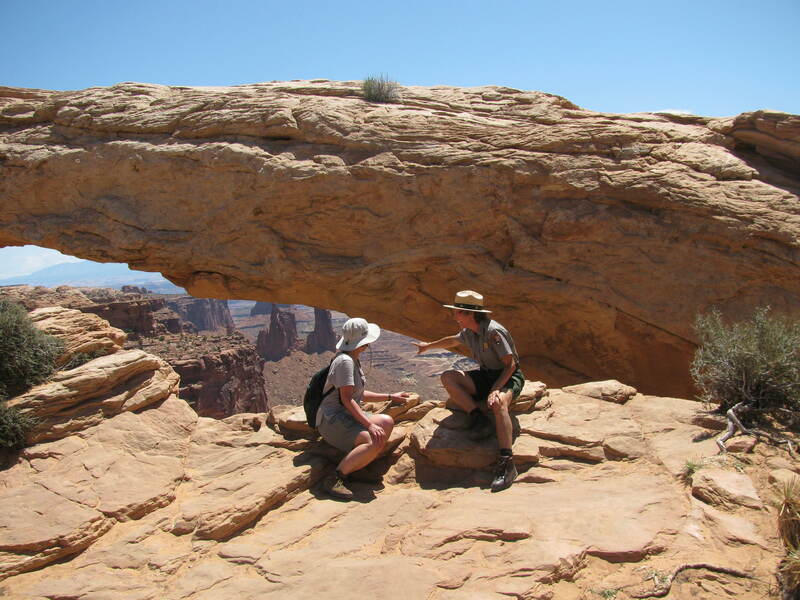 What appears to be a pleasant jaunt from those high viewpoints becomes a moment-by-moment intimate interaction with desert rock. Large powerful machines have honestly never interested me; I’d rather enjoy quiet self-powered activities. This trip has changed my mind, however, and I now understand the allure. 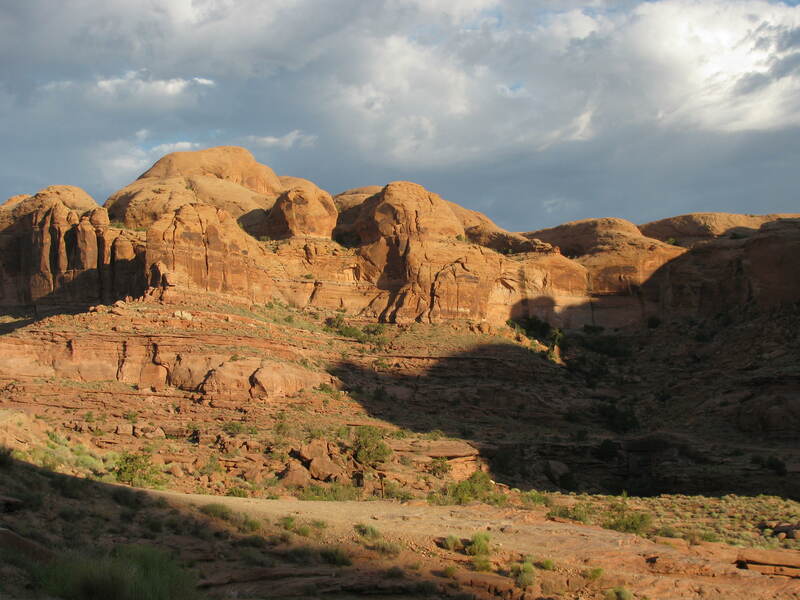 Jeeping can get one to places that would otherwise be inaccessible, across inhospitable terrain that would make long-distance hiking prohibitive. 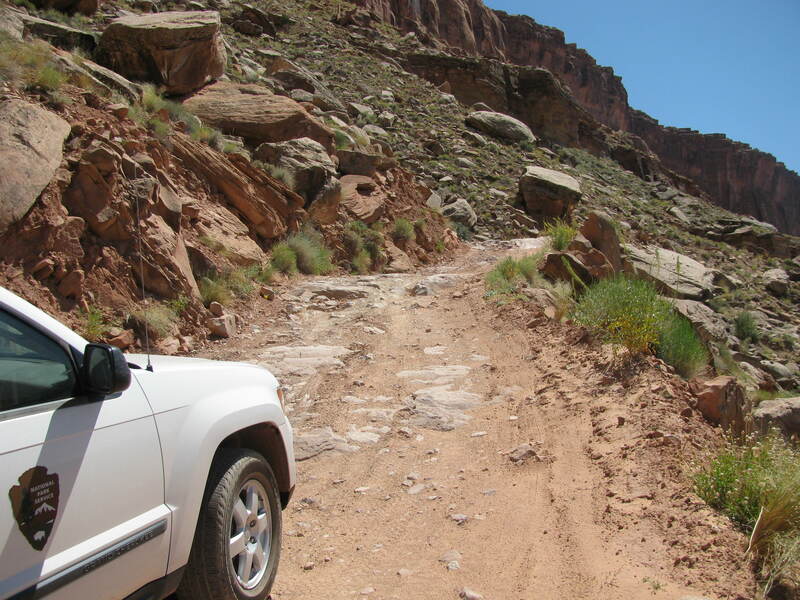 Used wisely, 4WD vehicles can enhance exploration without ruining a wilderness experience. 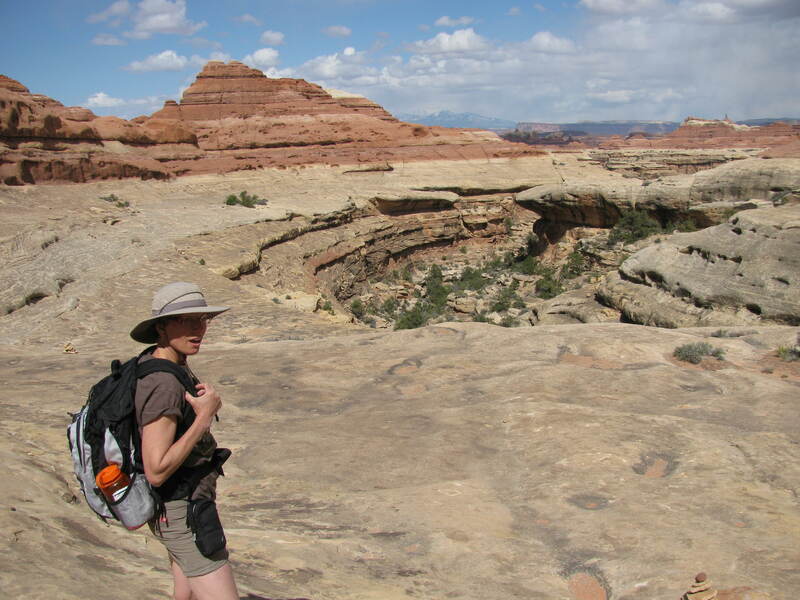 “4 Low” is a gear to befriend on the White Rim. With 600 pounds of people, plus all the gear and water and provisions, our clearance was nowhere near the recommended 8 inches for this route. The first time I scraped bottom (due to inexperience) everyone piled out and the car magically lifted off the boulder I had straddled. We all learned from each other’s mistakes and became more accomplished drivers by the end. Going up and down steep rocky stretches was a piece of cake (albeit scary cake) in 4 Low. For me, it was those large rock ledges I disliked… and the rock piles previous drivers had stacked up in an effort to minimize the droppage. Ugh! Others disliked the steepness of the drop-off should one wander off the road bed. It was vertigo-inducing in places. 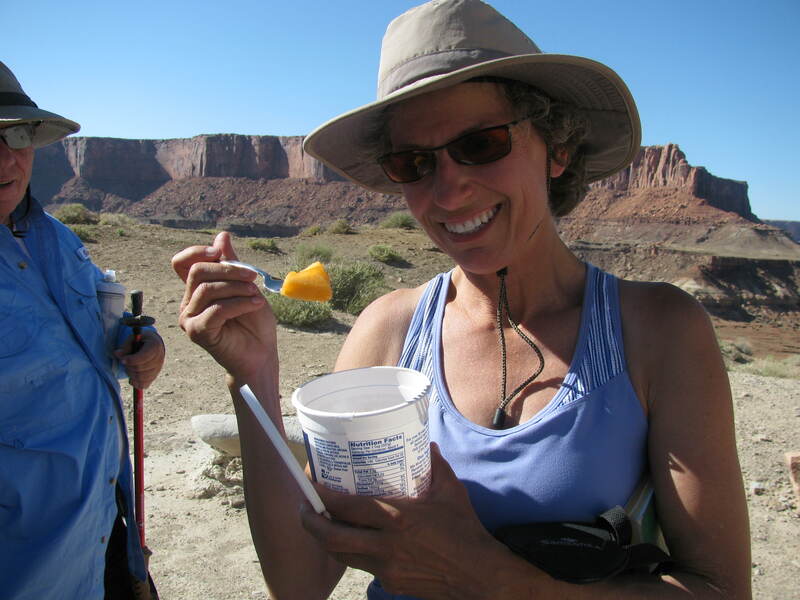 One can't describe the delight of ice-cold canteloupe cubes after a hot hike. As our goal was to learn the route, the road, and the 20 campsites for which we issue permits, each day involved plenty of stopping and exploring along the way. In the evenings we’d roll into camp, set up our chairs in a circle, pull out the appetizers and relax while the assigned cooks prepared supper. Pretty sweet — AND we were on the clock. This is paid training. As part of our orientation for the park job, our boss is taking us on the White Rim. 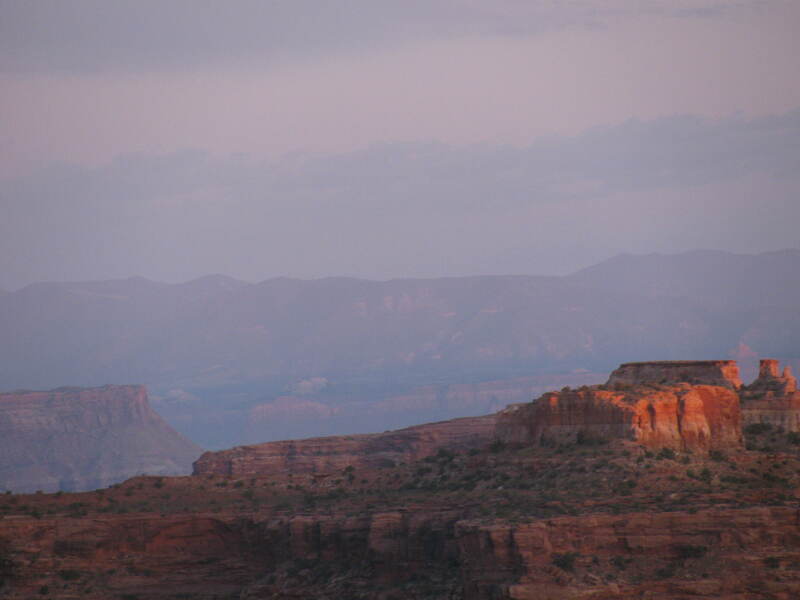 This is a layer of erosion-resistant rock 1000 feet below the mesa top, but still 1000 feet above the Colorado River. We’ll be gone 3 days in a Jeep Cherokee with five (5) people in a hot, buggy, bumpy adventure. I think the whole idea is that we will be able to tell visitors with 4WD vehicles what they’re in for when they ask questions of us at the desk. Should be a wonderful adventure, unlike any I’ve done before; I’ll check in with you Wednesday, hopefully with lots of stunning photos. Why is solitude so necessary? I'm the only one in this wilderness... at least on this side of the camera. Oh, I can be alone. I can appreciate what nature has to offer, or enjoy the comforts with which I have surrounded myself. I can lose myself in a good book, take myself for a hike or bike ride, play the piano or bake something delicious. I’m fine with ‘alone.’ I do well with it, actually. 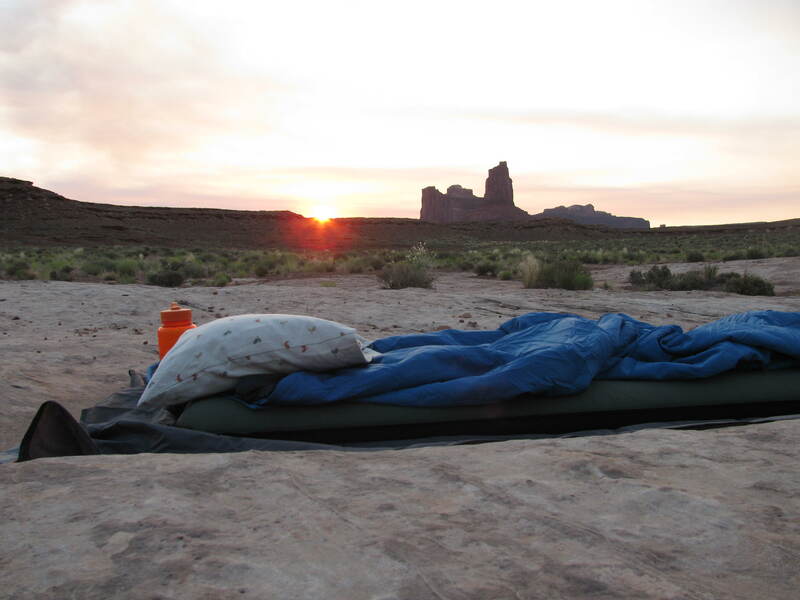 However, in my week of wilderness camping, I found that my proximity to Moab (five splashy creek crossings plus a 35-minute drive) made it easy to ‘sneak out of’ solitude. After a couple of days without much human contact, I found myself finding reasons to drive to town just to interact with others. It would have been a good discipline to stay put and read more Dostoevsky, in all honesty. With which ones do you resonate? Are there more you can think of? If so, comment, please! What has been your experience of solitude? 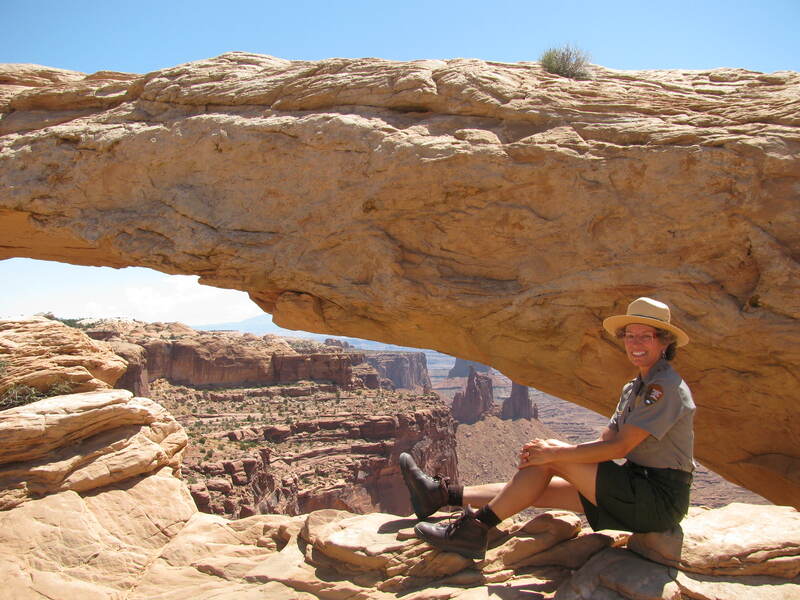 The job posting appeared on the federal jobs site at 11:30 pm Sunday: Arches National Park is looking for a permanent ranger. They will consider only the first twenty applicants. 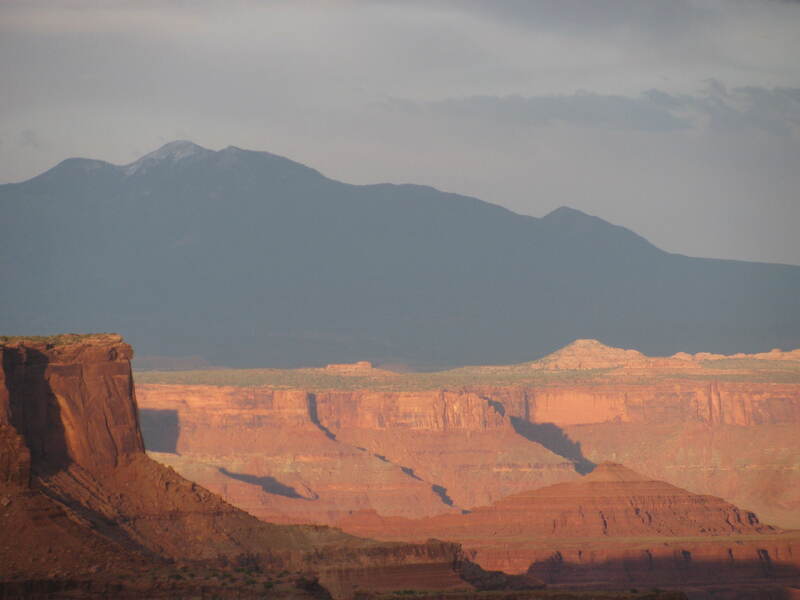 I worked on my resume’ like crazy Monday evening and drove my application 40 miles to headquarters in Moab — and back — before work Tuesday, happily learning that I was the second applicant. Three of my co-workers dropped theirs off moments after mine, so the onslaught has begun. I knew this was coming. I also knew I had to give it a shot. 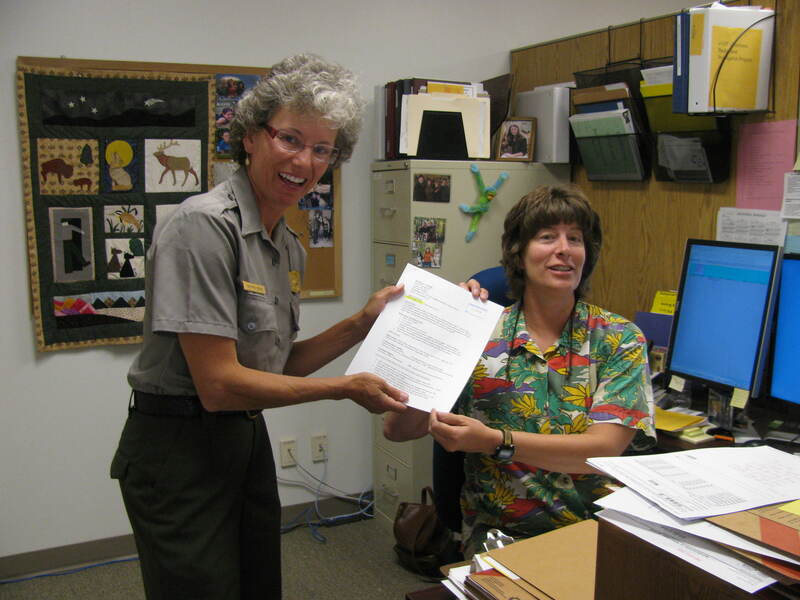 The competition is rugged: seasonal rangers with experience in multiple parks over many seasons. People with far more training and certifications than I have. And yet… I have at least a 5% chance of getting selected. Besides, just going through the process of getting ranked and then rejected is a fine learning opportunity for the next round. “Permanent” provides benefits and security, but it is not exactly full time. “Subject to furlough” means that for about three months out of every twelve (or more in lean years), you’re told you’re not needed — and you are not paid. In that regard, it is rather like an educator’s 9-month-a-year job. It’s time to begin asking myself what I really, really want at the end of the day. Everyone looks forward to storms. My sister who lives in the United Arab Emirates once told me that in that country, they get very excited to see even a few clouds in the always-clear sky; it’s not so different up here. The best part was that my shift required me to stand outside the Visitor Center and distribute fifty surveys as folks left the park. While doing so, I witnessed wild and woolly meteorological displays that are a rare treat. Lightning bolts penetrated the blackness to the north and crookedly struck whatever was in their reach. 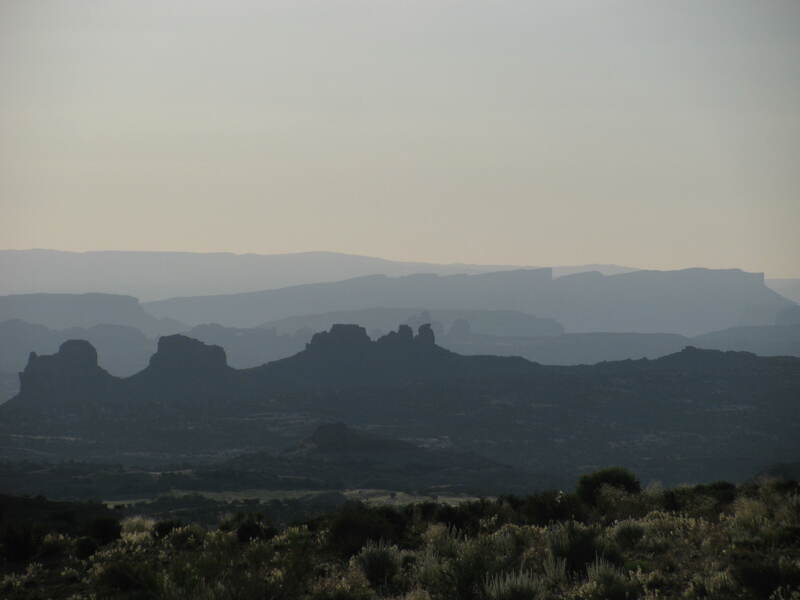 Thunder rumbled and tumbled across the mesas and canyons, rattling my hat and heart. Light and shadows chased each other across the vast expanses open before me, and winds whipped the flag riding the top of the pole. With a drenching sheet of hail that became rain, our temperatures dropped in twenty minutes’ time from 65 to 45 degrees. I stood under the porch canopy and commanded my heart to slow its pace; all the stimulation was almost too much for me. Too bad my camera was at home! 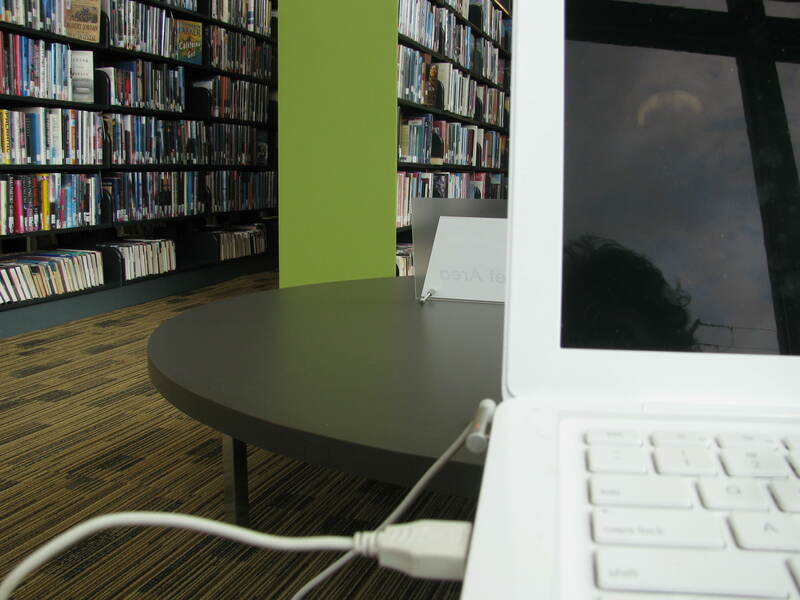 Sometimes I blog at the public library. My WordPress “Blog Stats” inform me that this past week, someone performed the ten thousandth click on Ranger Kathryn’s Arches. Ten thousand. Not including all my clicks. Nowhere in my wildest dreams did I envision such a thing. My blog began one season ago with two objectives: (1) Keep family and friends informed of my adventures, and (2) serve as a journal for my own purposes. It goes to show you that crazy things happen on the internet. The article in my hometown newspaper about my departure generated the most hits in one day: 210. An article on the website Utah.com praised my blogging and directed other traffic my direction. People search for phrases that are found in my blog posts, and Google magically directs them to me. I am simultaneously humbled and gratified. This pushes me — to improve my writing and photography skills, to think more carefully about what story my life is telling, to encourage others to follow their dreams. May I say to every last reader a heartfelt THANK YOU for following, reading, nodding, disagreeing/agreeing, commenting, and even staying mute. You are a big reason for my being diligent in this endeavor.